The life of the septic tank is routine maintenance. 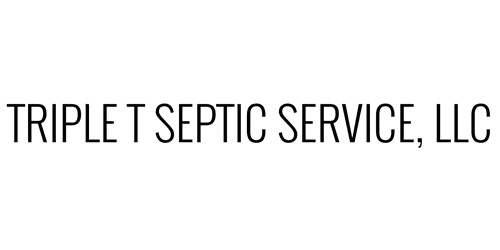 Septic pumping is the core of our business and we have the skill and expertise in cleaning and pumping any type of residential septic system. We will provide you with the most dependable, prompt and efficient service that is available. Our service is second to none. Often times your septic system is "out of sight, out of mind" until a problem occurs. In many homes situations there are hidden problems with the buried portion of the septic system. Broken or loose pipes, pipe settling or sagging, and roots are just a few of the possible problems. Rest assured, we have the equipment and expertise to fix these problems. A septic tank riser is an extension of the septic tank lid. The riser is attached to the top of the septic tank and ending at the ground level. It allows for easy access to the septic tank opening to monitor the system performance. Maintenance costs are lowered by installing a riser by eliminating the need to shovel or remove the dirt to expose the tank lid. We sale and install risers for you at the needed height for your application. With today's technology, we can locate your septic tank. We have a variety of ways to locate it from ground probes to electronic beacons that emit a signal by our electronic tracker. Once the tank is found, we offer the service of excavating the dirt to gain access to the septic tank lid. Many times a "plugged" line is fixed by simply pumping the septic tank. As waste water is removed from the tank and resistance the "plug" has met is gone, the force behind the plug is able to push it out. When this doesn't work, we have a wide variety of tools to resolve the issue. From drain snakes to main line augers, we can fix it! According to our state/local health departments and industry experts, it is recommended having a septic tank pumped every 3 to 5 years. We find that most customers we interact with forget about the septic tank until they have problems. After servicing your system, we keep all of your information on file and send out reminder cards when it's time for us to come by again. We provide this service FREE of charge! Many enzymes that are available in stores boast that nothing else will need to be done for the septic system. Many of these items will actually do harm to the system. Because of this, we have partnered with a distributor and are able to provide you with enzymes that not only treat the septic tank but also every drain as well. We offer a years supply at a more cost effective price than ones available in stores. We look for every way possible to save our customers money. This is one area that we have found and would be more than happy to share the details with you. Please call us for more information.